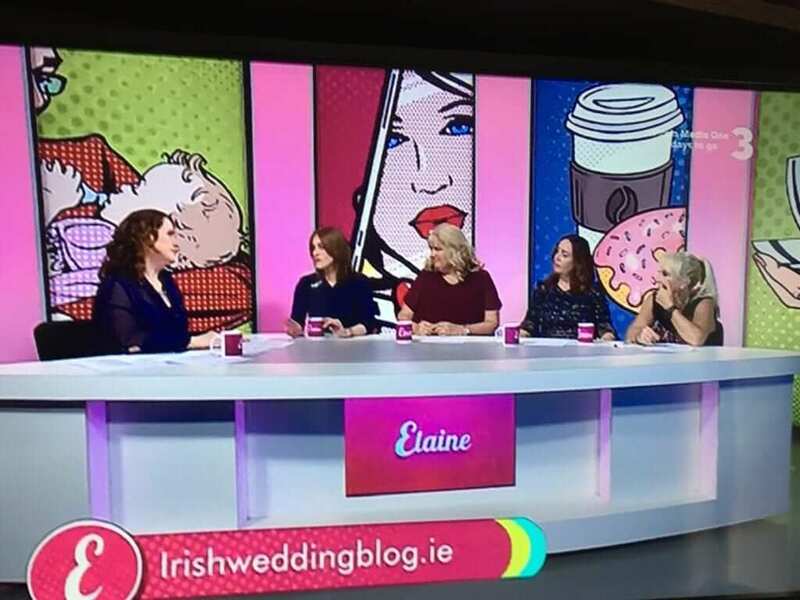 Still on the campaign trail for my book, I popped by the TV3 Elaine Show studio today to chat about wedding budgets and all the madness that surrounds it. It was a lovely panel today and included the lovely Ruth Scott who got married last year in Bunratty Castle. Panelists included author Carmel Harrington, editor with the Daily Mail Linda Maher and barrister Aileen Hickie. I joined the panel as a featured guest and shared my knowledge about budgeting for your wedding. 1. When you get engaged, just take some time to relax and enjoy before jumping in to making your decisions. 2. Shop around first – don’t commit to anything until you price up all of the key items. 3. There are some hidden costs which you can see here. 4. Negotiate good and early as once you agree and sign a contract you won’t be able to negotiate further later on when you realise you have over spent! 5. Put your business face on – contain your excitement and don’t show your cards! 6. Wedding Fairs – a brilliant place to get a deal and plan all under one roof. 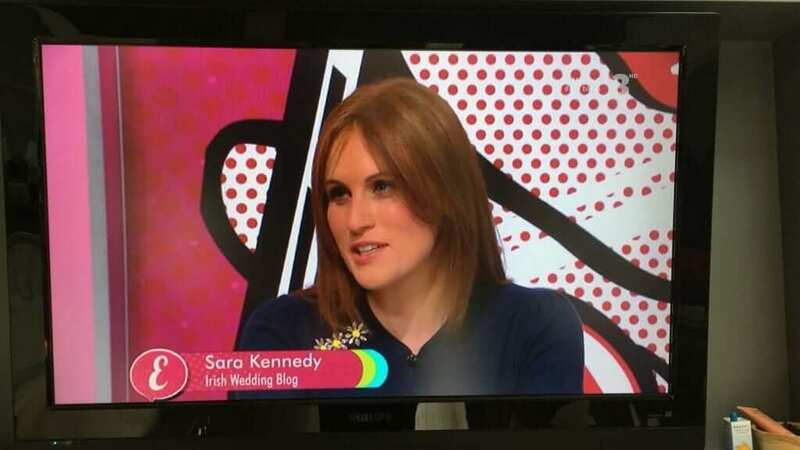 I’m going to be presenting at the RDS Wedding & Honeymoon Shows ‘I Do School’ on the 1st & 2nd of September – see you there! I also have some survival tips when attending a wedding fair! 7. Watch all of the ‘bits’ you’re buying online as they clock up and sometimes the postage & packaging cost more than the bits you’re actually buying! 8. Preloved decor – there are an abundance of Facebook groups and donedeals etc that have wedding decor at either ridiculously low prices or for free! 9. Don’t count your wedding expenditure on your hand. Download a wedding budget template. I have one for free here. 10. Double Dresses! This is an emerging trend, just go easy. This isn’t a wedding essential. For more tips on planning your wedding, you can download or buy my book right here.